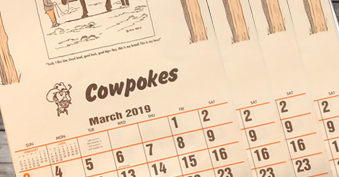 2019 Cowpokes Calendars Are Here! Cowpokes Calendar Release 2019 is here! 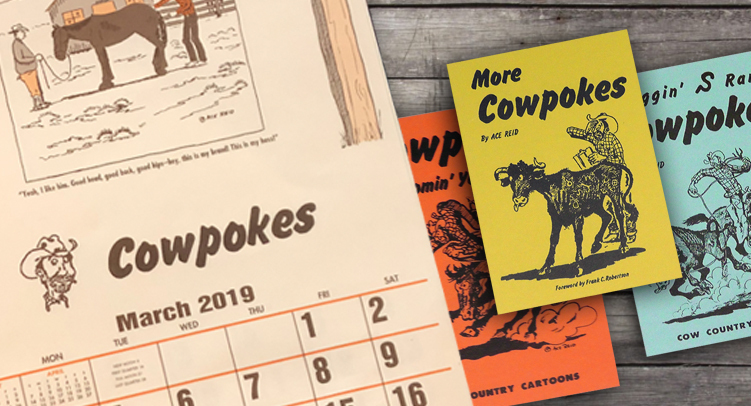 The much anticipated 2019 Cowpokes by Ace Reid calendars are here and are available for purchase! This ever-popular annual printing sells out quickly; place your order today! You may order single calendars or choose from our Cowpokes calendars bundles. Giving Cowpokes calendars as gifts is a tradition of many! To view our bundles where you’ll get free calendars when purchasing multiples, click HERE. Need personalized Cowpokes Calendars for your business? We can do that too! Visit our Personalize Cowpokes Calendars page HERE. Ace Reid Enterprises is proud to bring you this 2019 edition and we know you’ll enjoy the laughs! Cowpokes Cartoon of the Month invites Cowpokes fans world-wide to enjoy Cowpokes by Ace Reid’s cartoon of the month available here at Cowpokes.com. What are the Cowpokes up to this month? Well, it’s always something! Cowpokes Books, Calendars, and Cartoons are for purchase at Cowpokes.com. Only Cowpokes.com brings you the official and greatest works of cowboy artist Ace Reid as he brought us the hardships & follies of reality on the ranch to life! 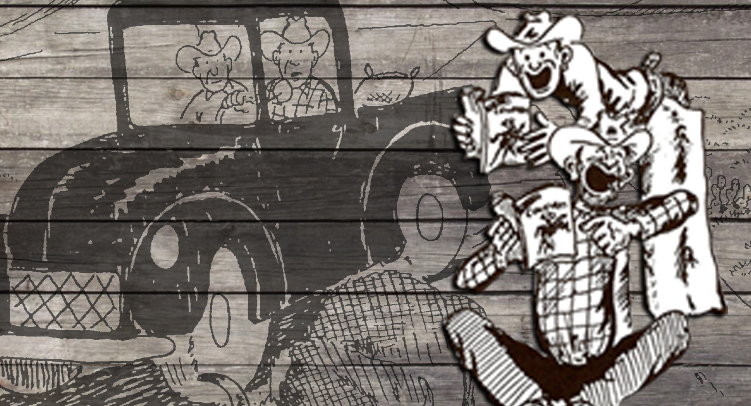 Order your books, calendars, and specialty books, personalized calendars, and cartoons today, all here at Cowpokes.com!